It’s the latest addition to the huge Overwatch Nendoroid line. A Lúcio figure has joined the Overwatch Nendoroid squad. Developer Blizzard Entertainment and toy manufacturer Good Smile Company have announced the opening of pre-orders for the latest Nendoroid figure in the Overwatch series, Lúcio. Pre-orders are now available at Blizzard Gear Store at $49.99 with an estimate shipping date by the end of Q3 2019. Related: Hope you’ve got room on your toy shelf—Zenyatta’s the next Overwatch action figure. He also comes with “both yellow and green skate blade parts as well as wall-riding effect parts, allowing you to display him speeding around amplifying his team’s movement speed or regenerating their health,” according to the page. When paired with the rest of the collection, fans can recreate full team battles featuring Lúcio. 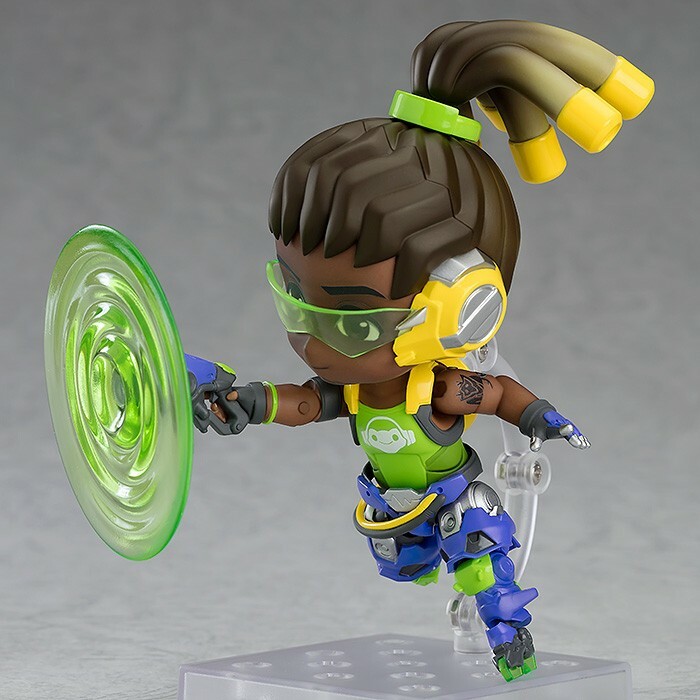 Blizzard says Nendoroid Lúcio is made of painted plastics ABS and PVC and is approximately 100 mm in height, just like other Nendoroid toys. Fans of the GoodSmile and Blizzard partnership also have more realistic action figures available as part of the Figma Overwatch line, which features Genji, Pharah, Zenyatta, and more. Pre-orders for Nendoroid Lúcio will be available until Feb. 7.